Bella Musica Chorus | Sing! Rehearsals start Tuesday, Jan. 15 (7-9:30 pm)! Want concert announcements emailed to you? Join our mailing list! 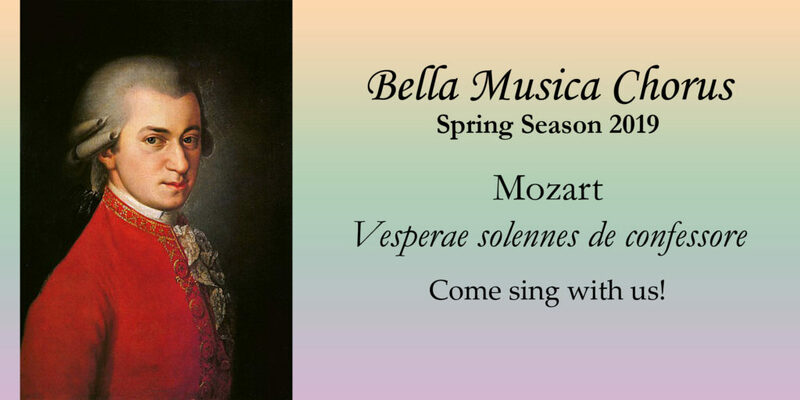 Help keep Bella Musica singing . . . Interested in joining the chorus? New members – and those who have not sung with us for at least 3 years – can sing with us for half price ($60 + music fee of $15) for the first semester. Scholarships are available. We have a simple group audition.